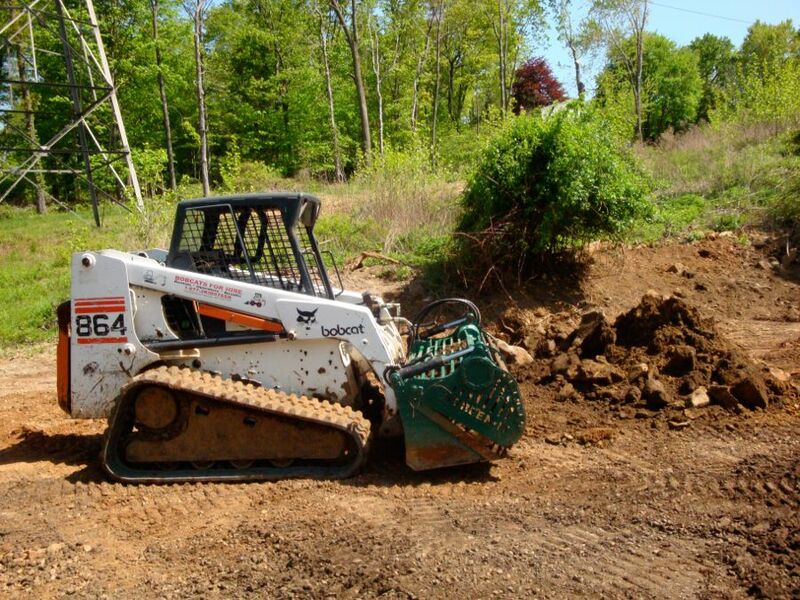 Bobcats for Hire is prepared to install superior drainage to your property while also grading your lawn to direct water away from your home and landscape areas. Our projects begin with a thorough assessment of the needs for the homeowner and site. Grading and drainage are important details to get right before expensive landscaping, patios, pools, or other items are installed. All too often, homeowners opt for "decorative" items to be installed prior to "functional" items. The result of this folly is added expense that can easily be avoided with proper foresight and planning. Have a pro design and install your grading and back yard water remediation system today! Our company is licensed in the State of New Jersey, and we also carry full liability insurance for both liability and workman's compensation. We are prepared to secure permits for your grading project when required, and will ensure that your project does not adversely affect an adjoining property. 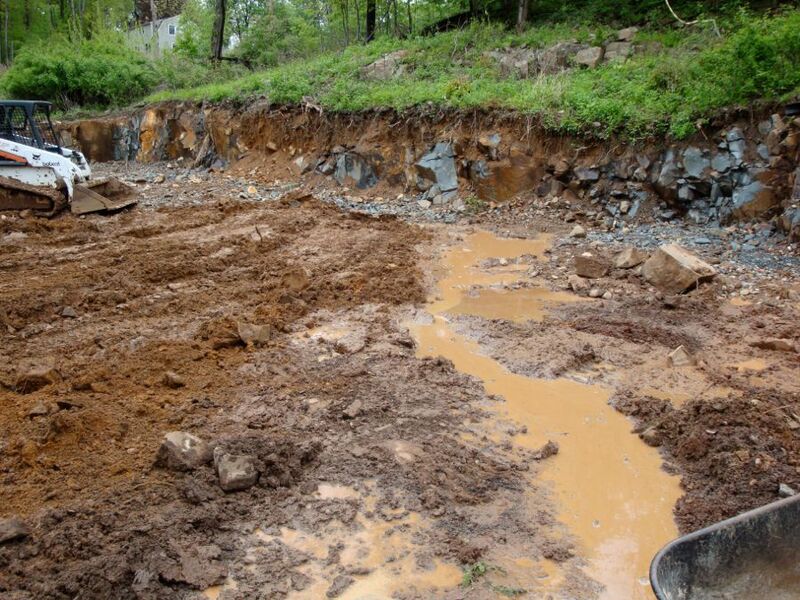 Below are some photos of a grading project in North Caldwell, New Jersey. This property has a very rocky yard area that is being converted into useable lawn. Bobcats for hire has been selected to transform this property due to its highly specialized track loaders, hydraulic Harley Rake, and on site hydraulic top soil screening capability. Your project will directly benefit from our dedicated rubber track equipment and portable screening machines. 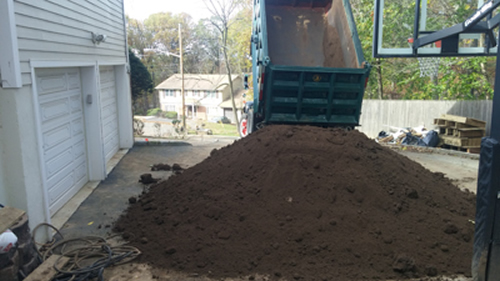 This equipment allows for a top quality installation that processes and grades the existing landscape for a beautiful new lawn while minimizing the amount of top soil that needs to be purchased and trucked to your site. This approach saves you money and helps the environment by reducing fuel consumption and reducing runoff. 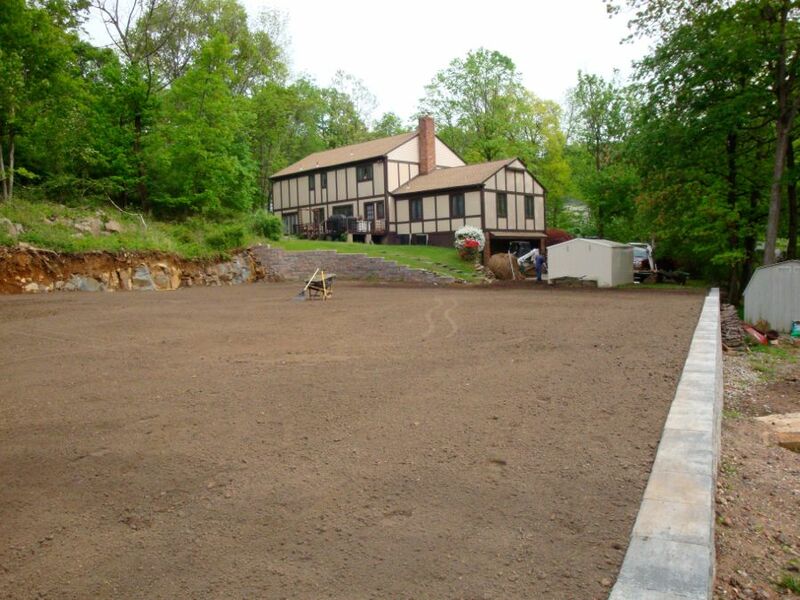 By screening the existing soil, large boulders and smaller rocks that every lawn seems to have are removed from the surface. This serves two benefits - of course, the lawn surface will be of a much higher quality due to additional amounts of top soil being at the surface, and second, the screened boulders and rocks can be used to encourage water drainage and saturation away from the surface which results in a properly draining lawn area. If your project requires grading and drainage, you will benefit by hiring a company with the proper equipment and experience for the task. Bobcats for hire is prepared to plan the needed improvements to your property for a long lasting and cost effective solution. Our areas of involvement also include excavating, grading, drainage improvements, dry well installations, and landscaping for the long term enjoyment of your property. Call today for that professional look to your home or business. You will save by hiring a reputable company that is equipped to handle the needs of your project!